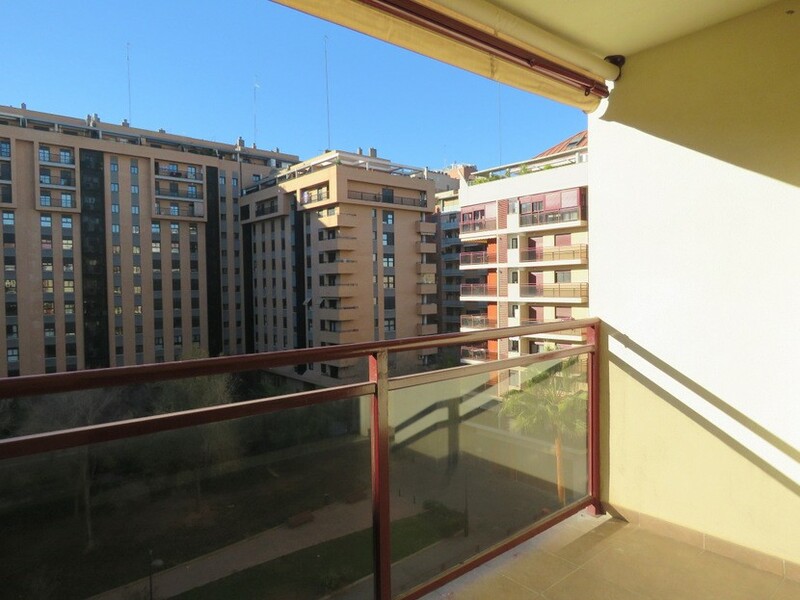 This 2 bedroom, 2 bathroom apartment with balcony and South orientation is located in one of the newest neighborhoods of Valencia, Penya-Roja, right next to the river that has now been converted into a large linear park. 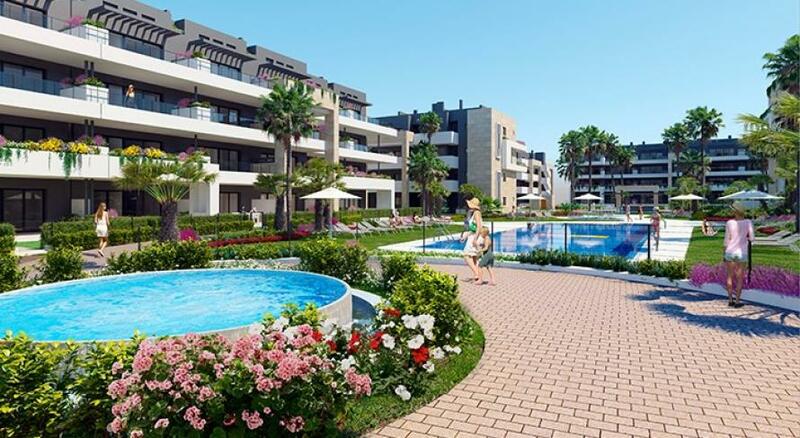 It is positioned within a 10 minutes drive from the beach and marina, a 10 minutes drive from Valencia's city center, and a 30 minutes drive from the airport. 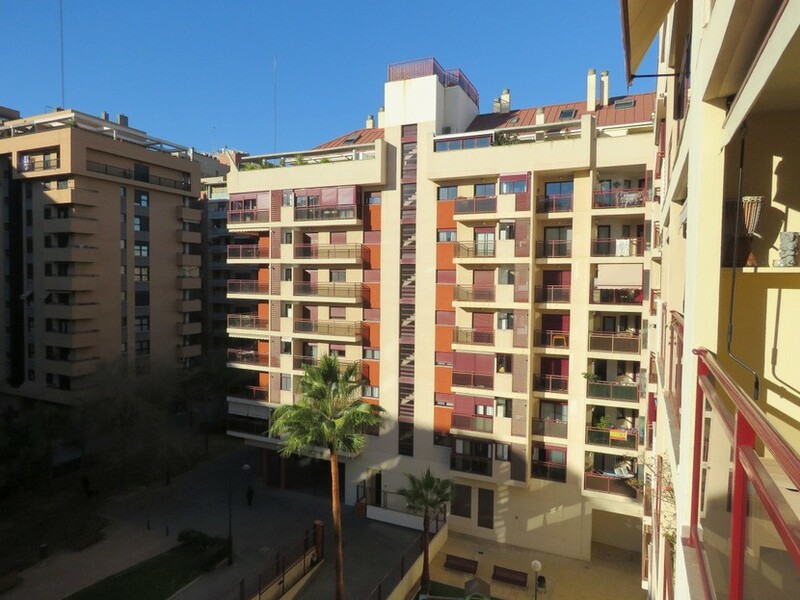 Penya-Roja is a new neighborhood full of modern amenities and parks such as the opera house and the popular Valencia aquarium which are right next door. The apartment is located on the 5th floor. The living/dinning room is a generous space full of light due to its South orientation and views towards the courtyard where the swimming pool is located. The kitchen is next to the living space and it is also very bright. 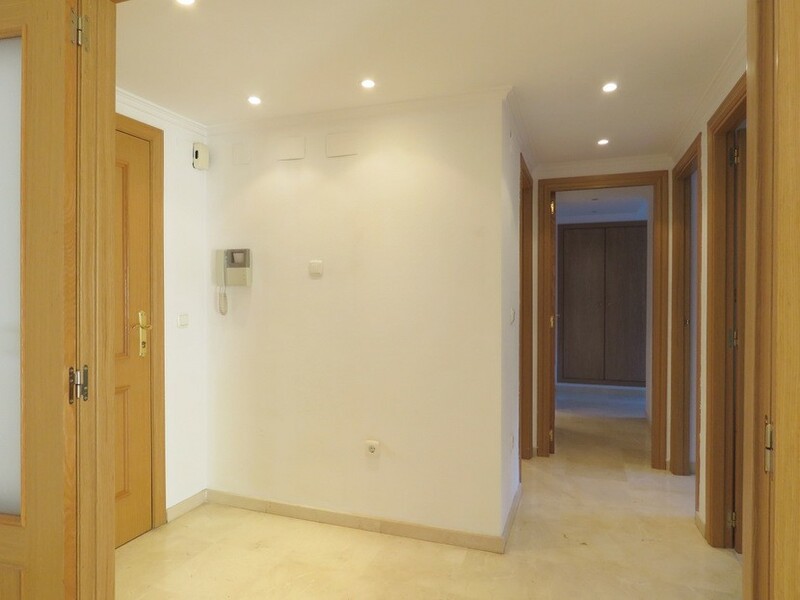 It has a laundry room and a small terrace with windows towards the courtyard as well. 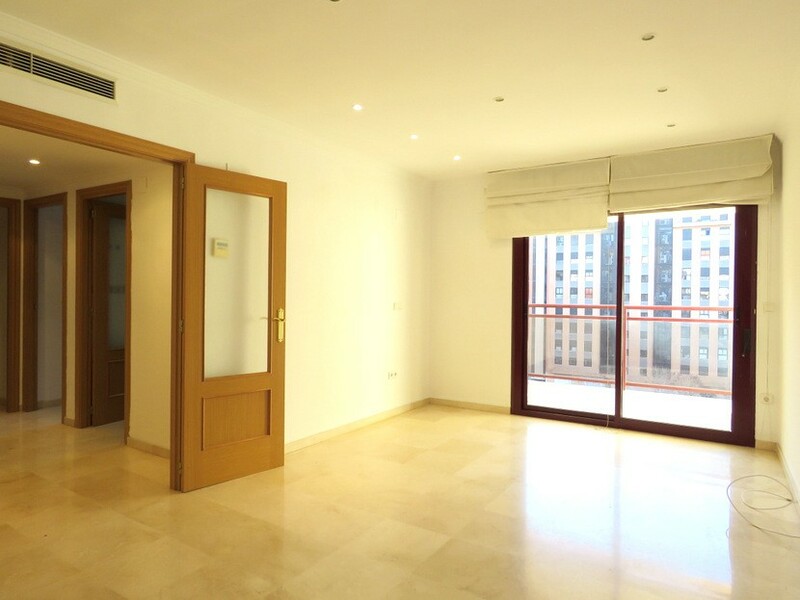 The 2 bedrooms are also very bright thanks to the large windows that they have. The master bedroom includes an en-suite bathroom with a bathtub. There is a 2nd full bathroom with space for a shower that would need to be installed. All the bedrooms are double in size and have built-in closets. 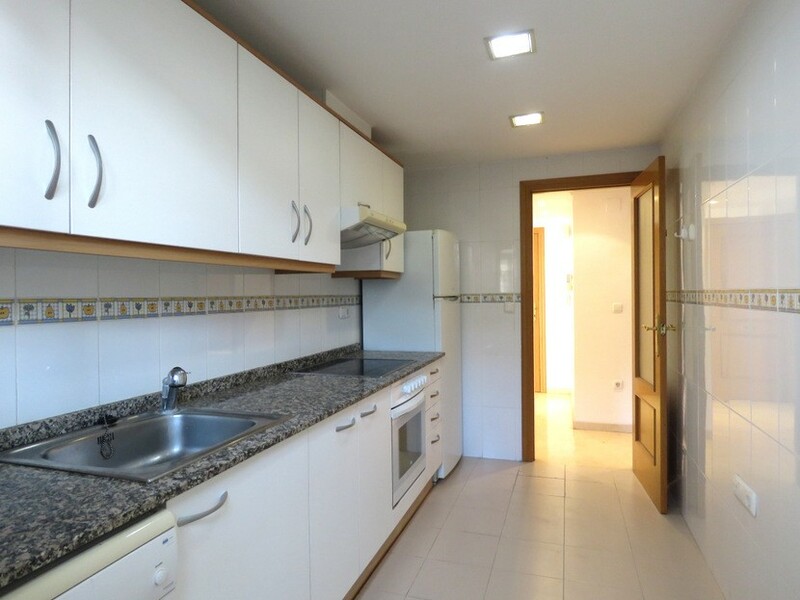 The apartment comes equipped with air conditioning and the kitchen comes with all white goods included. All the windows have double glazing for better temperature and noise insulation. 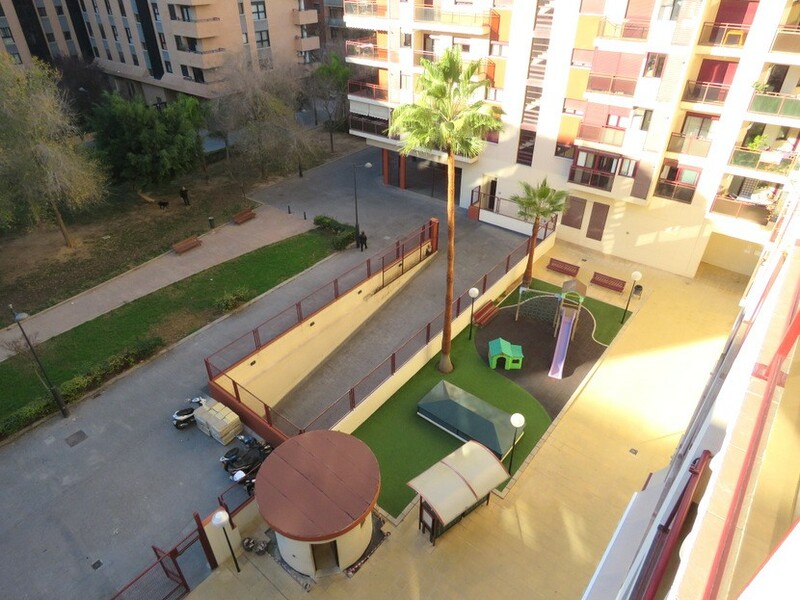 The building includes a lift and a communal garden with outdoor siting area, playground and a swimming pool. The community included an underground garage with parking and storage space. This apartment comes with 1 parking space and 1 storage space included in the price. A second parking space can be included for additional cost. 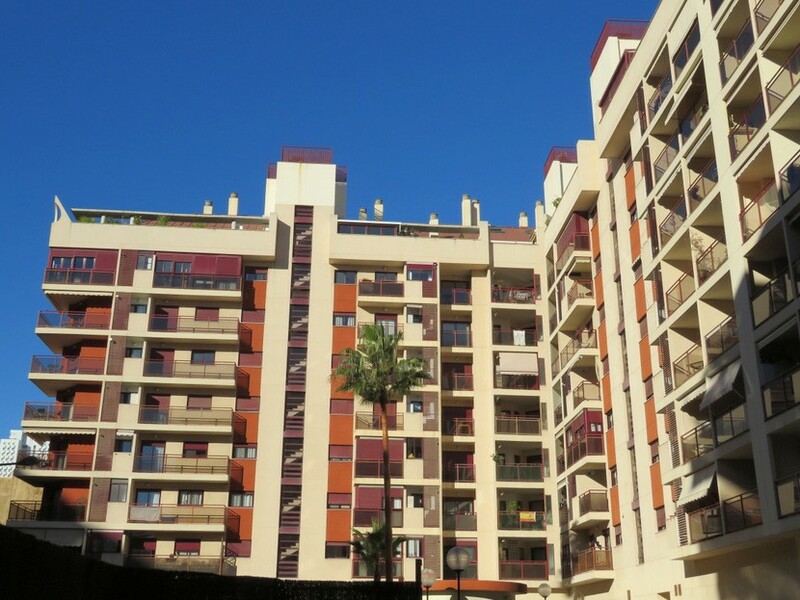 The neighborhood is very attractive for its contemporary amenities. Important hotels and shopping malls are located close by, and the world-class lineal park is located right at the footsteps of the property with plenty of museums and playgrounds to be enjoyed. The Ciudad de las Artes park is a wonderful open space with an opera house, a 3D theater, a science museum and an aquarium, within others. The beach and marina of Valencia are also very close. Plenty of buses and some metro station connect the area to the rest of the city. The owners love - "The location is fantastic. Close to everything. The apartment is very bright and the South orientation is phenomenal. 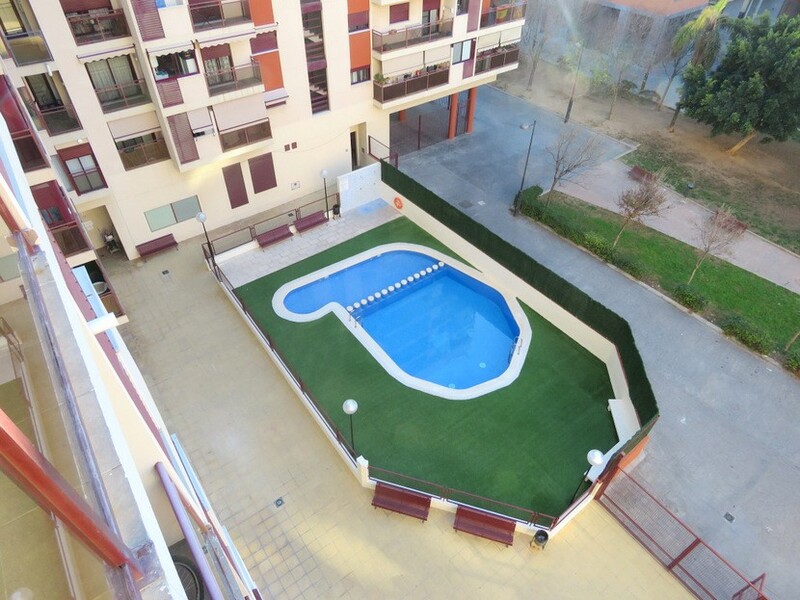 The pool is great place to hang out and meet the neighbors of the community." 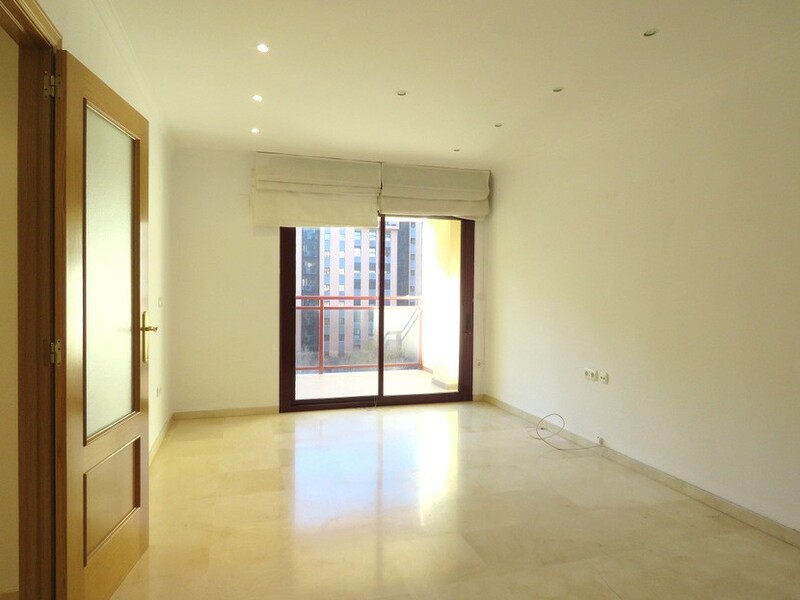 We think - "This apartment with marble floor is in great conditions and fairly new. 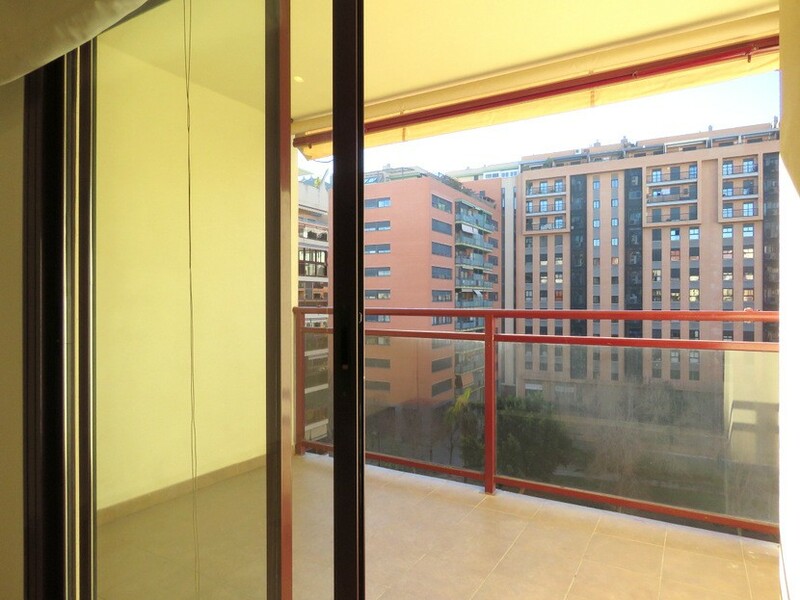 The layout of the apartment is very contemporary and the balcony is of perfect size. Anyone will love this apartment!"